In 2007, family-owned Speyside distillery Glenfarclas launched an ambitious collection of whiskies called The Family Casks: a series of 43 single cask, vintage single malts, spanning five decades. Ten years and hundreds of bottlings later, the venture is going strong. Richard Woodard reports. Then, shortly after the collection was unveiled at a tasting hosted by the Caledonian Club, Grant received a fax from his Japanese distributor ordering 178 bottles. ‘I was a little surprised,’ he recalls. ‘You don’t expect the Japanese to move quite that fast. The case for and against NAS whisky, featuring Glenfarclas' George Grant and Macallan's Ken Grier. 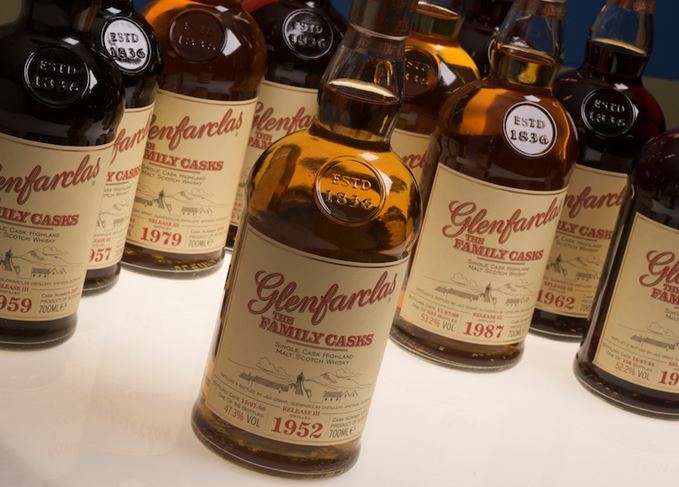 The Glenfarclas Family Cask Trunk features vintages spanning five decades. Fill your glasses with cask-driven whiskies, overflowing with fruits, wood character and memories.